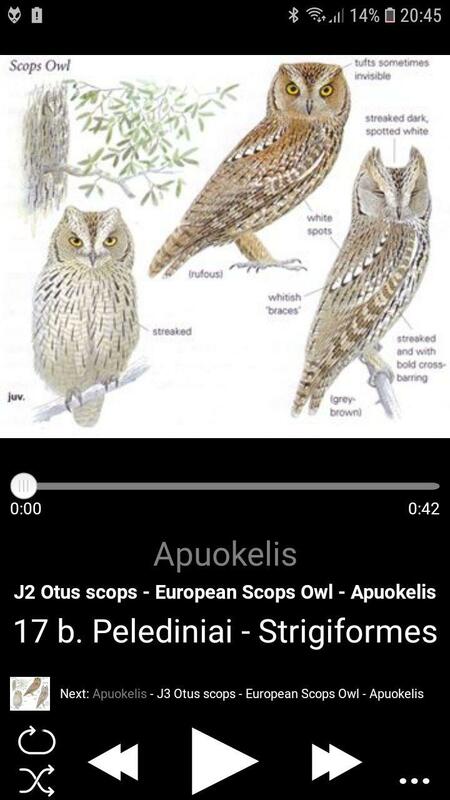 I am the (new) owner of a new Android (Wiko Upulse Lite) and have successfully transferred the MP3 Bird Songs of Europe, North … (Andreas Schulze) to the Upulse. But I can’t find the songs. The file ‘Music’ is empty and ‘San Disk’ shows only a pattern of cryptic tiles. It should be possible to arrange the songs alphabetically and to compile a play list from a selection of the songs. But how???? Neither the internet manual - FAQ, internet platforms etc. nor my friends could help me. I want to use a Bluetooth speaker with my phone later. This is not possible with my stone-age Alcatel MP3 Player (which presents the songs in due alphabetical order, though!). I’m sure the solution of my problems is easy - but not for me! Thanks in advance for your help! how did You proof your assumption "(...) I am the (new) owner of a new Android (Wiko Upulse Lite) and have successfully transferred the MP3 Bird Songs (...)"? Furthermore, how exactly did You transfere those mp3 files to your smartphone? Are you sure not just having placed aliases to your phone's memory? BTW: Maybe you replace your headline to "Problems with sound file import to an android smartphone"
Some of the "stock" audio players on android phones are not doing their job properly. I myself use foobar2000 on my phone. It has good search and helps me out a lot. While in foobar2000 You can configure what directories You want to add to Your playlist. For instance I have one folder named "Bird Songs" on my micro SD card with various subfolders for order, genus etc. And while in foobar2000 I select --> Tools --> Media Library --> Music foldrers Add Folder --> External Storage and then find the folder and "Select" --> Rescan. If the folder does not show, there might be problems with the microSD. I'm afraid my knowledge about handling smart phones etc. is very limited. Still I'll try to follow your advice. Meanwhile have I downloaded an app recommended to me, and this makes it possible to compile play lists, but not to use the function 'repeat' and 'shuffle' - which I need in the field. Regards, and once more many thanks. As seen in a screenshot with an example. On the left corner. Shuffle work with the files in one directory. I have single directories for single specie. That took me a while, but I did it. Last edited by wedejaz : Tuesday 12th March 2019 at 17:54.